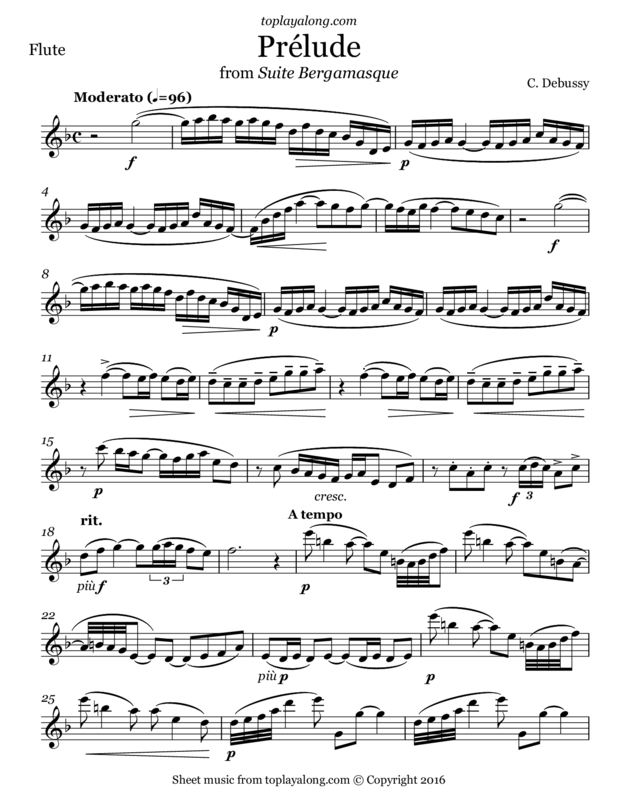 "Prélude" is the first movement from Suite bergamasque. It is full of dynamic contrasts with a vigorous beginning and ending. It is a festive piece, which holds much of the Baroque style that is commonly found in preludes. The Suite bergamasque is one of the most famous piano suites by Claude Debussy. Debussy commenced the suite in 1890 at age 28, but he did not finish or publish it until 1905.